TL;DR - Can the six yellow ISP pins be used as a normal ISP? Recently, I came across a variant of the board shown below. However, what are the additional yellow header pins on this board for? They are labelled ISP. So can they really be used as a standard ISP/ICSP? However, according to the diagram below, which labels the 6 pins in question, I am not sure that there is a valid correlation of signal lines. As a new feature there is a 6-pin ISP header available. 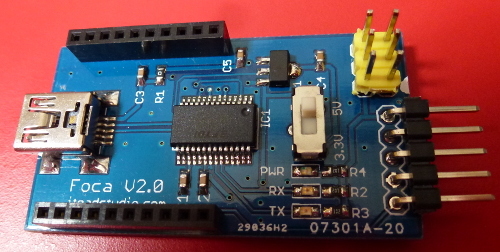 With it, avrdude and avrftdi you can program Atmels and Arduino bootloaders. A special version of avrdude with compiled FTDI driver is neccessary. However the provided link to that version of avrdude, with the compiled FTDI driver, is dead. 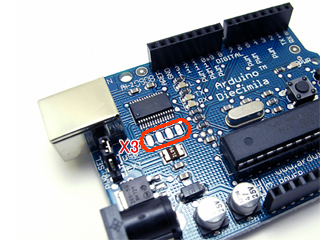 It is also said, in post #7, that these pins are actually equivalent to an X3 connector, as found on the older Arduino Dicimila/NG/Duemilanove boards. 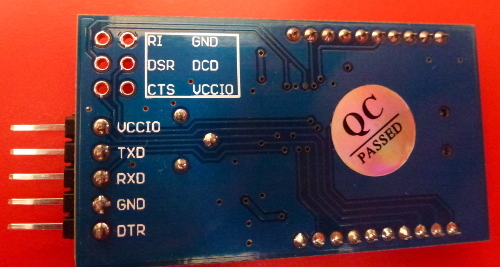 It should be noted that the RI, CTS, DCD and DSR (labelled RSD) pins are available, along the sides of the original FTDI breakout board. So, does the breakout board with the ISP header just provide access to these same signals using a different header? 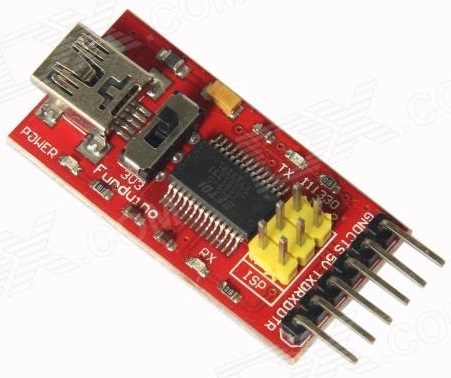 I am a little confused - have I just over thought this, and this breakout board is simply an ISP/ICSP header and an FTDI connector rolled into one board (when used with the appropriate version of avrdude)? Or is it not a usual ISP header? 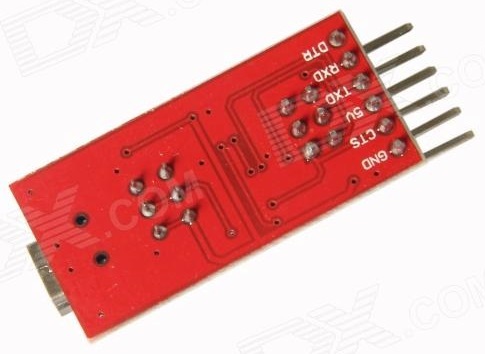 I can not find any specific documentation relating to this type of breakout board, as stated in post #4. Can anyone say, definitively, what these six pins are for? If they are not a normal ISP header, could you provide a detailed way of using it? A schematic would be helpful. There's a thread about that on the Arduino Forum - someone had a similar question. 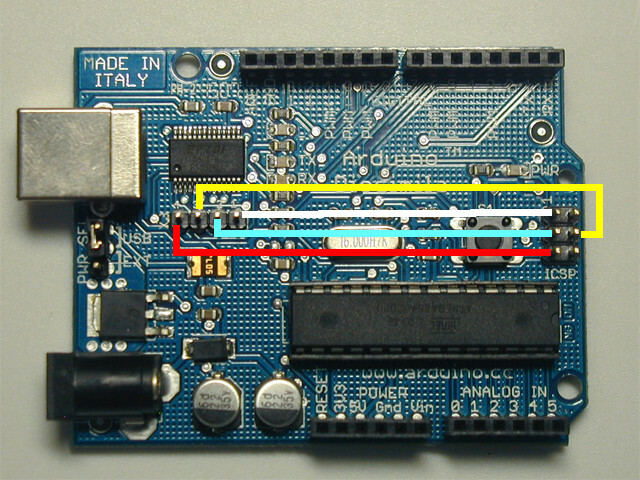 I found a schematic (below) which is not for that board, however the header pins are labelled the same as you found, so it is plausibly similar. 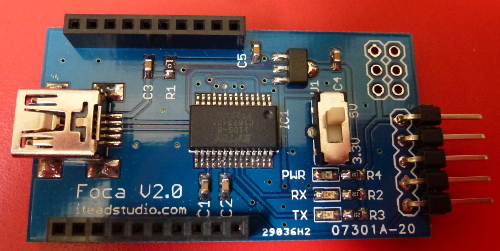 You can in fact configure that header to be an SPI programmer, as described for example, in FT232R Bitbang Programmer. I added a white dot to indicate pin 1 (visible on the edge) so I plug the cable in the right way around. # Note: pins are numbered from 1! The numbers refer to the bit number (i.e. in the range 0 to 7) in the "bit banged" data byte. We can see from the earlier schematic that, for example, MISO on the ICSP header is wired to CTS on the FT232RL. Thus MISO is data bit 3, which we tell avrdude in the above configuration. Similarly SCK is data bit 5, and so on. Note the two hex numbers, which get copied into the rules file. Then unplug and replug the FTDI board to get it to notice the new permissions. I had mine plugged into an ATmega328P. Once we have got this far you just connect the FTDI board to your target board with a straight-through cable. The FTDI board you have (and the one I have) can be used as a ICSP programmer for the AVR chips, as described above. 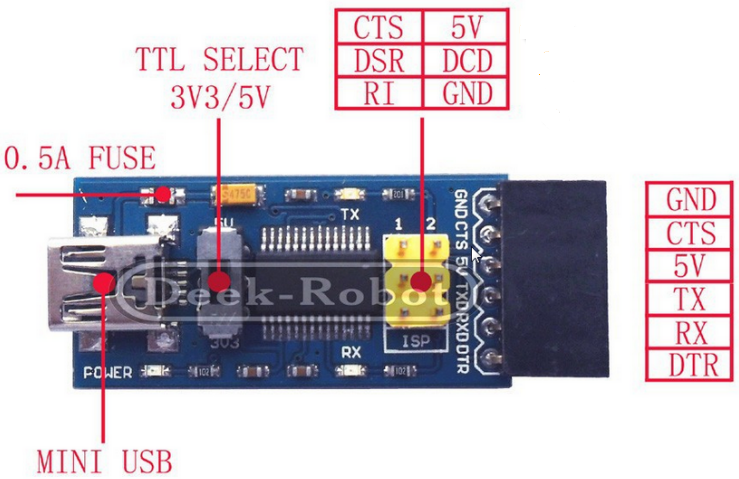 Thus a simple board can be both a USB to serial converter, and also an ICSP programmer. I see similar boards selling on eBay for around $5 so that is probably quite a cheap programming option. Not the answer you're looking for? Browse other questions tagged ftdi isp icsp or ask your own question. Unable to load programs onto Arduino Pro Mini Using FTDI?